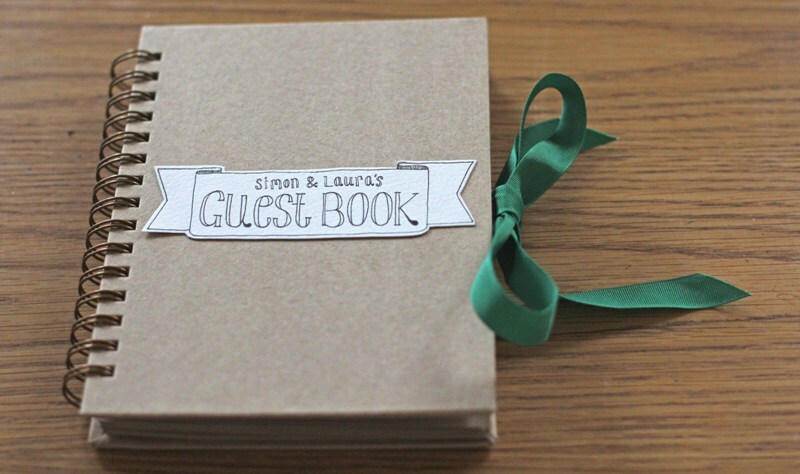 There are loads of guestbooks out there on the market, from the ones you can buy from places like hobby craft to some really fancy expensive ones designed by wedding stationers. But if you don't want to have the same simple guestbook as everyone else out there then get out your scissors and glue and lets jazz one up! Open the book up to the inside cover and with a small piece of double sided tape stick the end of one of your pieces of ribbon down. To make sure that it's extra secure I always add a piece of card over the top, slightly larger than the ribbon, again stuck down with double sided tape. Now flip over to the back inside cover and do the same with your 2nd piece of ribbon on the back to fasten. Stick down little envelopes filled with mini cards and tags with little hand written notes on that say things like "words of wisdom" or "write us a note" these act as great little prompts for people to scribble down their thoughts and are a lot less scary than a big blank page. I always struggle with what to write in a guestbook that actually means something and isn't super cheesy so I often draw a little picture instead! 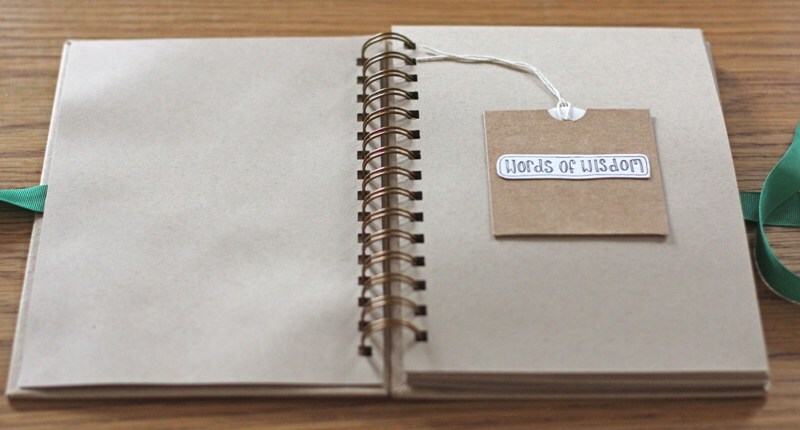 To make that prospect a bit more inviting to others, on some pages, stick down little frames cut from contrasting paper. Excellent idea! 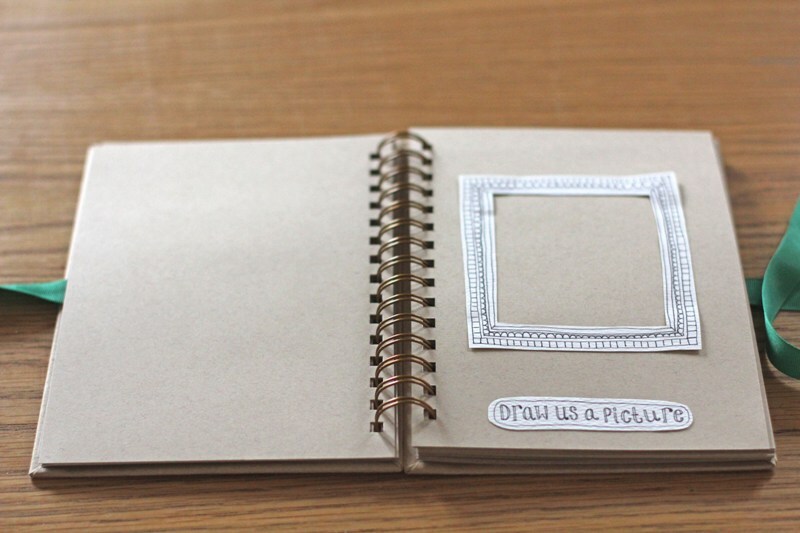 I will definately be trying this, especially the prompts for drawings.